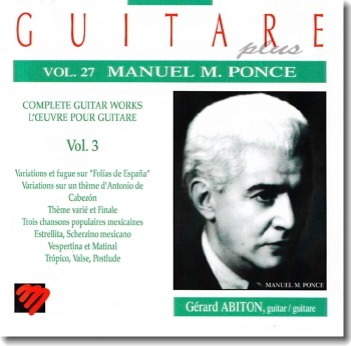 Gerard Abiton offers a rare performing, marked by mastery and intelligence. It is not frequent that a guitarist is convincing in all the aspects of the play and succeeds in maintaining the same excellent level. Gerard Abiton is a performer molded by intelligence who makes us share his harmonious and formal understanding. We shall admire the depth and the force of inspiration of his playing as well as his instrumental mastery which even makes us forget the idea of technique.